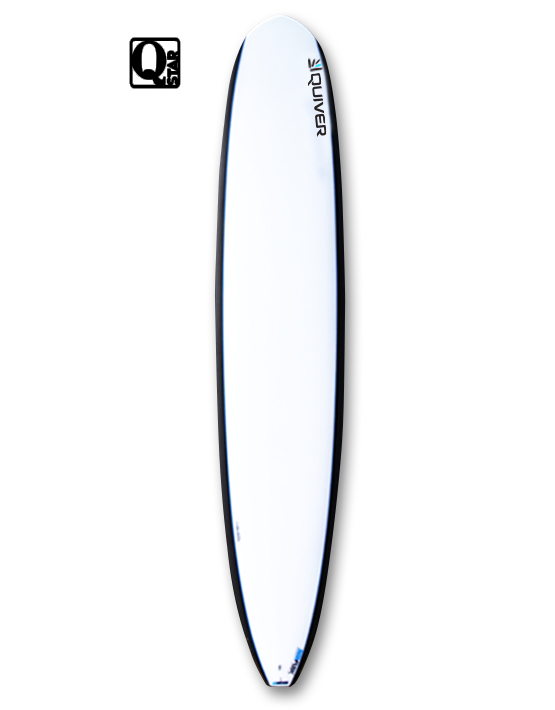 The Quiver Q-Star: This good wave longboard will allow a quick trip up to the nose but designed primarily for off the tail performance surfing in better waves. The Q-Star has a single concave through the nose to double concave in the back third with a squash tail / rounded pin. The board displayed is the Epoxy Carbon Rail parabolic version (CRT model) – light, strong, expensive, with unreal flex properties. 9’ 0" 21 5/8" 2 1/2"
Product ID: 449 Category: Boards.